Atlanta Fire Damage Repair, Atlanta Smoke Damage Repair | Paragon Construction, Inc.
At Paragon Construction, fire damage repair is one of our core services. Since 1998, we have restored homes and personal belongings from losses ranging from furnace “puff backs” to major structure fires to water damage from firefighting efforts. Our insurance restoration contractors have the expertise, experience and, above all, empathy for homeowners who have experienced a house fire. We understand how different materials react to fire, heat and smoke and what steps to take to minimize the fire damage, smoke damage, fire cleanup and repair your property and contents. 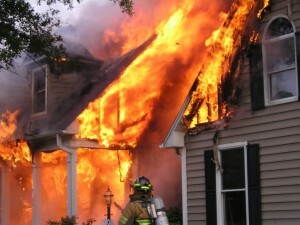 We perform the necessary insurance restoration services required by your insurance company and work with the local fire and police departments to preserve, protect and secure your home from further damage. In this traumatic situation, you just want you home back to the way it was. Paragon Construction has the compassion and know-how to make this happen. We get your property back to normal faster. Many fire damage repair and smoke damage repair jobs require little or no demolition and our innovative drying methods means most repairs are completed in a few days instead of weeks. We assist with the insurance claims process. As one of the best insurance restoration companies, we will work with you and your insurance company to help speed the settlement of your claim. If you experience fire damage or smoke damage to your Atlanta home, call the fire damage repair experts at Paragon Construction!